A dramatic turn of events in Round 6 of the 9th Hainan Danzhou GrandMaster Chess Tournament has produced a new leader. 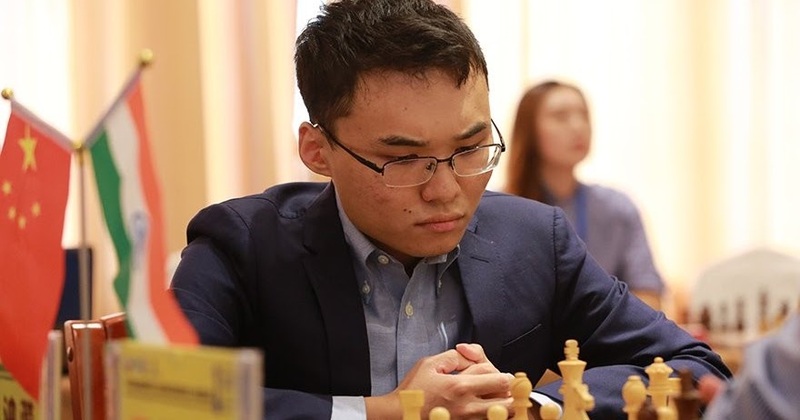 Over the past few days we’ve noted how Yu Yangyi has been ‘making a move’ up the standings and that has resulted in him claiming the tournament lead from former leader Bu Xiangzhi. Yu Yangyi vaulted to the top by virtue of a Round 6 win over Vladimir Fedoseev combined with Bu Xiangzhi losing to Jan-Krzysztof Duda. Duda has moved into a second place tie with his Round 6 victory. Last year’s champion Wei Yi continues to ‘tread water’ and is in a four way tie for 5th place. The 9th Hainan Danzhou GrandMaster Chess Tournament began on July 26 and concludes on August 4. The tournament will be held at the China Chess Association’s Training Base in Danzhou, a western city in China’s Hainan province. The prize pool is $60,000 (USD) with the winner claiming 140,000 CNY or approximately $20,869 USD. The tournament is the centerpiece of a variety of activities intended to promote chess in the Hainan provence including the national youth tournament and a chess themed summer camp.